Sable Chocolate, or in French Sablés chocolat, is an easy to make shortcake dips in dark melted chocolate. Send your festive greetings across with decorated cookies made for showing off – present them in clear airtight jars or gift boxes and beautify with snowflake-themed ornaments. It’s the one snowflake guaranteed to not melt in sunny Malaysia! This recipe is courtesy of Crystal Chan of Patisserie Rui and was first published in Flavours magazine. Sift the flours and cocoa powder. In a stand mixer with the paddle attachment, cream butter and sugar until fluffy. Add salt, vanilla essence and egg. Mix well. Mix in the almond nibs. Add the flour mixture and mix until just combined. Mould dough into a log and wrap in cling film. Chill for at least 2 hours in the fridge. Preheat oven at 170°C. Using a rolling pin, roll out chilled dough on floured surface until 5mm thick. Cut out 6cm circles and arrange in a lined baking tray. Bake for about 10 minutes, or until fragrant and edges are slightly brown. Combine sugar, egg white and lemon juice and mix until opaque. Colour if desired. 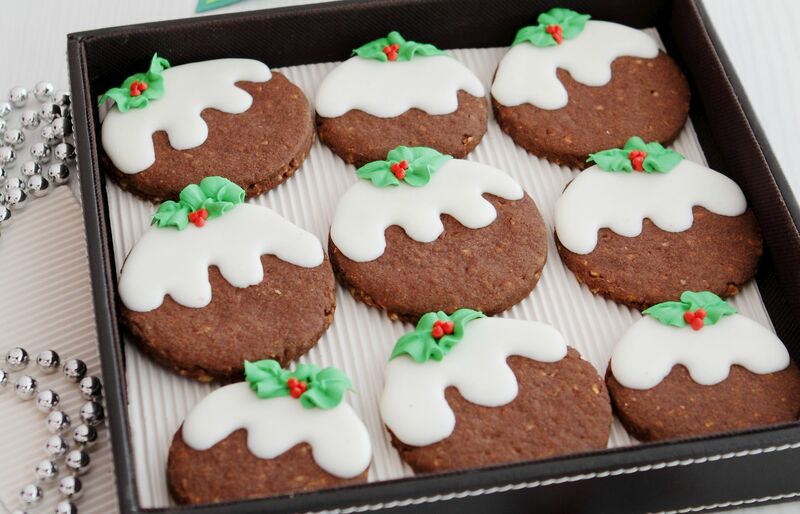 Fill into piping bag and use to decorate cookies. Thin mixture with a little hot water if necessary.